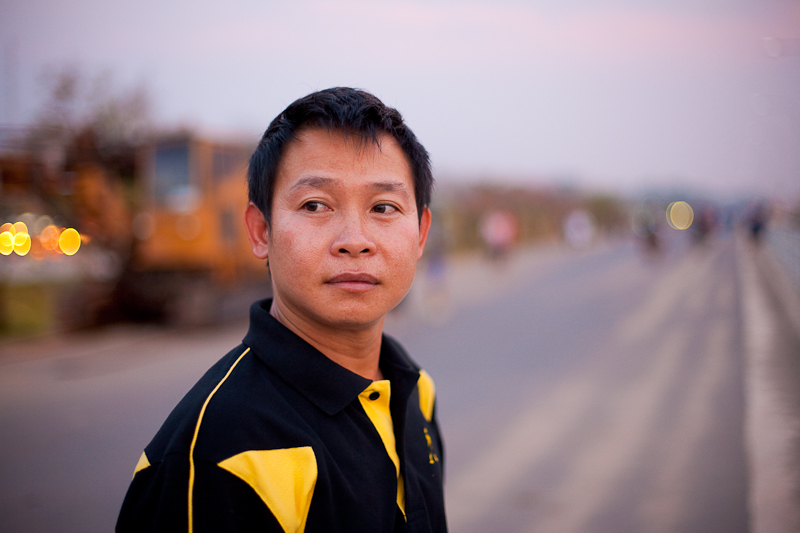 A local Vientiane Laotian poses for a photo on the Mekong River promenade. Big cameras always attract attention, particularly from fellow friendly photographers like our Laotian friend here whose Laos name translates to "Rabbit". He saw me struggling to grab a panning motion blur photo and asked if I can explain what I was doing. Thanks to Rabbit, I filled an otherwise boring and lonely night in Vientiane with a little chatter with a kind local guy on the last day of my visa run. The next day, I return to Thailand with a new double entry visa and a new lease on life in Bangkok.. if I can find same-day train tickets back! 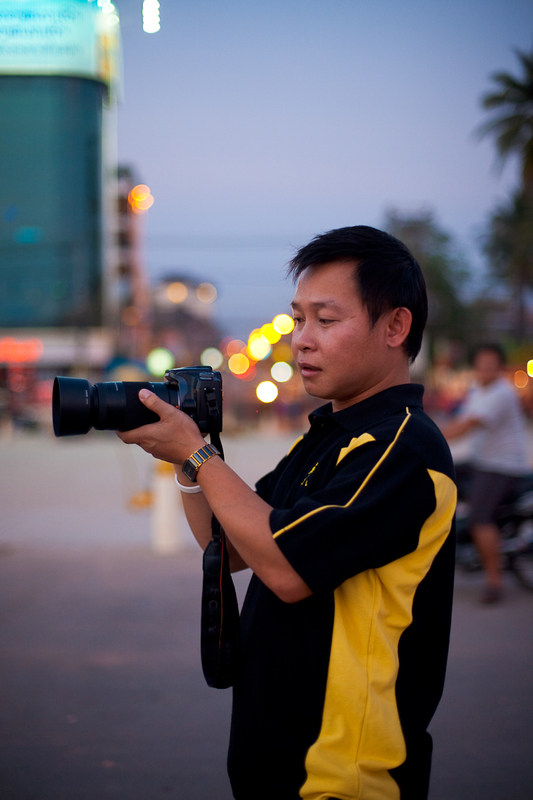 A Laotian hobbyist photographer manipulates his camera upon my instruction.